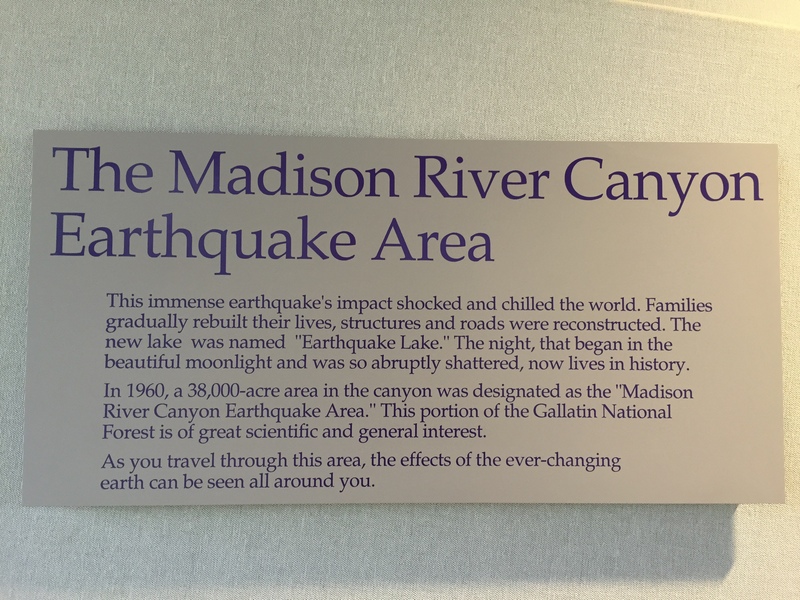 It was near midnight on August 17th, 1959 when an earthquake near the Madison River triggered a massive landslide. 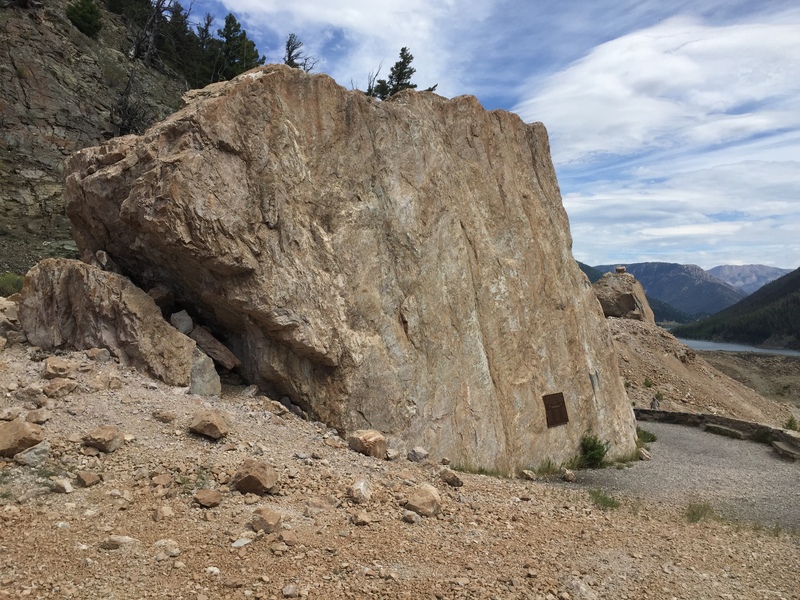 The slide moved at 100 mph and in less than 1 minute, over 80 million tons of rock crashed into the narrow canyon, blocking the Madison River and forming Earthquake Lake. 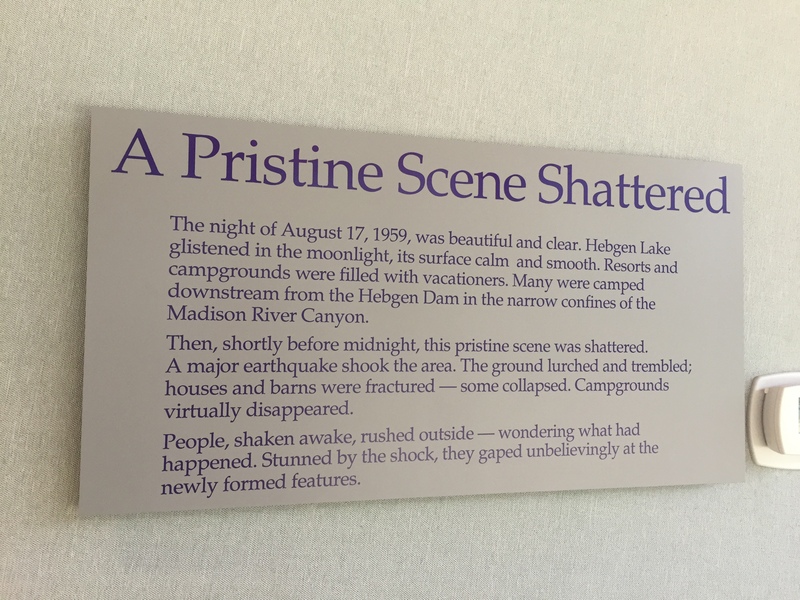 This earth- changing event, known as the Hebgen Lake Earthquake, measured 7.5 on the Richter scale. 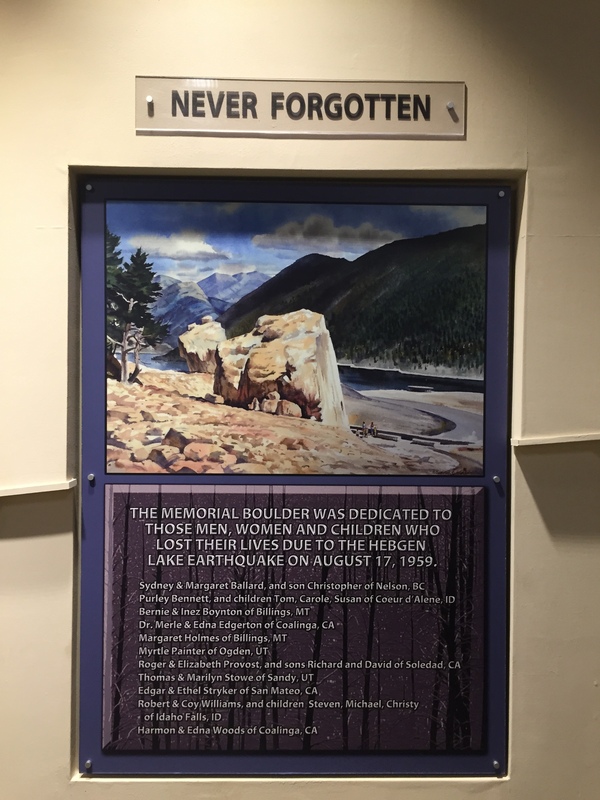 At the time it was the second largest earthquake to occur in the lower 48 states in the 20th century. 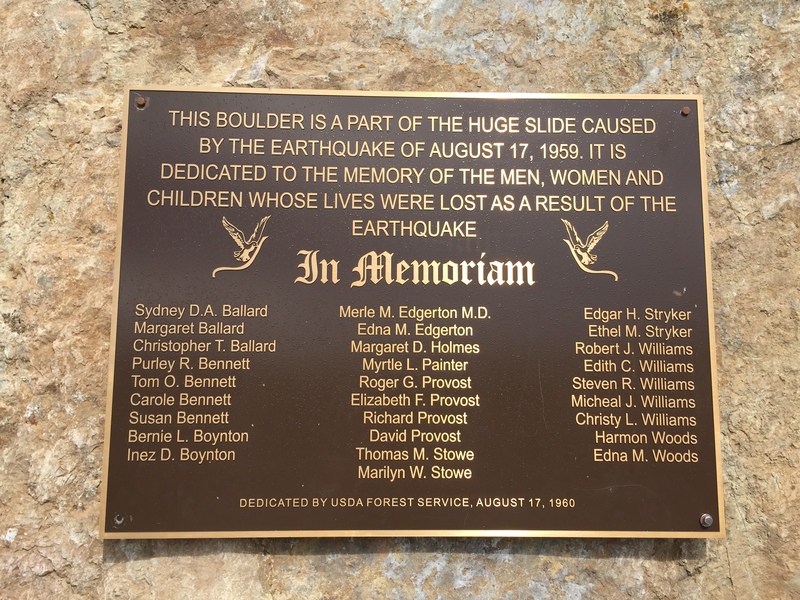 Twenty-eight people lost their lives in the event. 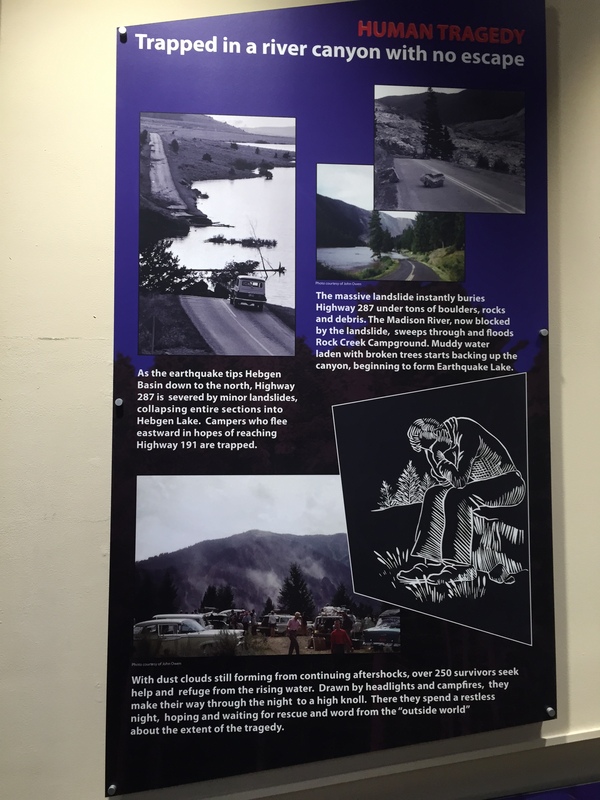 In 1967, the Forest Service’s Earthquake Lake Visitor Center opened its doors for the first season of operation. 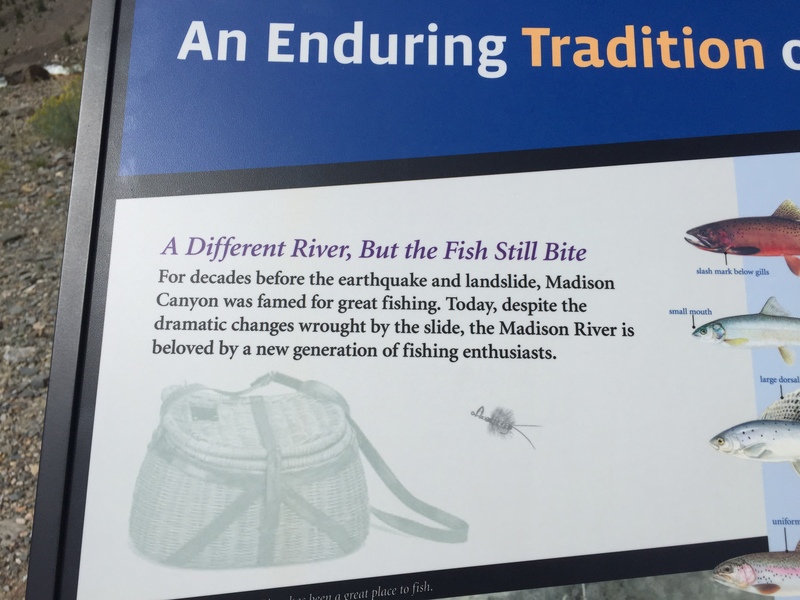 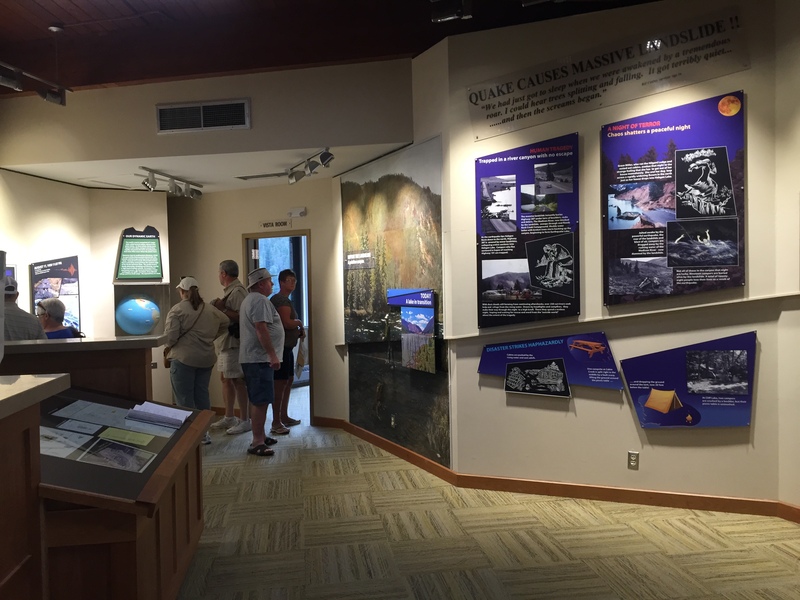 Today, the Center provides interpretive services for more than 50,000 visitors annually. 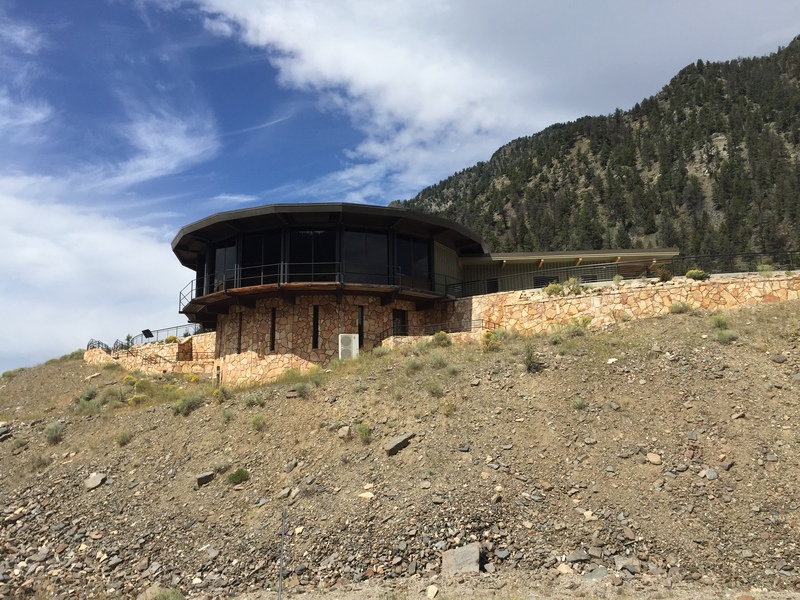 The natural attractions and the easily- seen effects of the strongest earthquake in the Rocky Mountains make this area one of the outstanding scenic and geological study areas in the west. 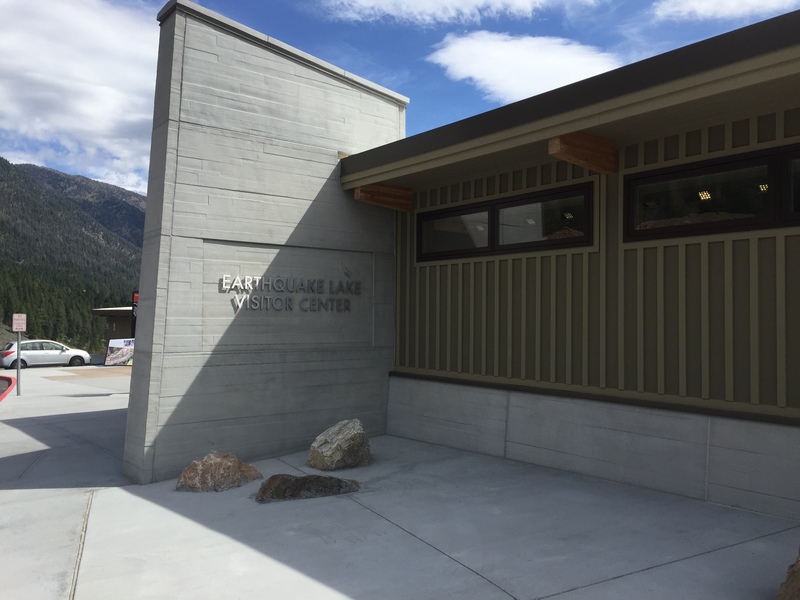 The Earthquake Lake Visitor Center is located 27 miles northwest of West Yellowstone, Montana on US Highway 287. 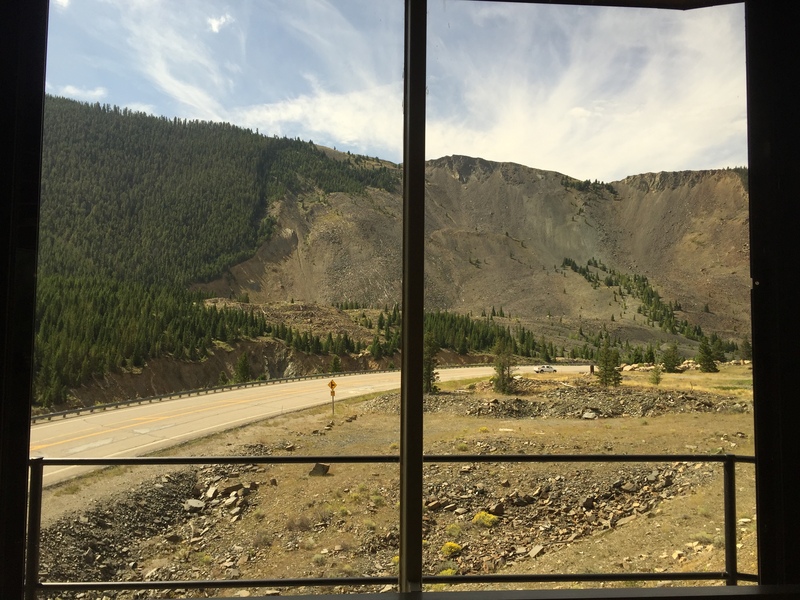 It is 44 miles south of Ennis, MT and 99 miles southwest of Bozeman, MT. 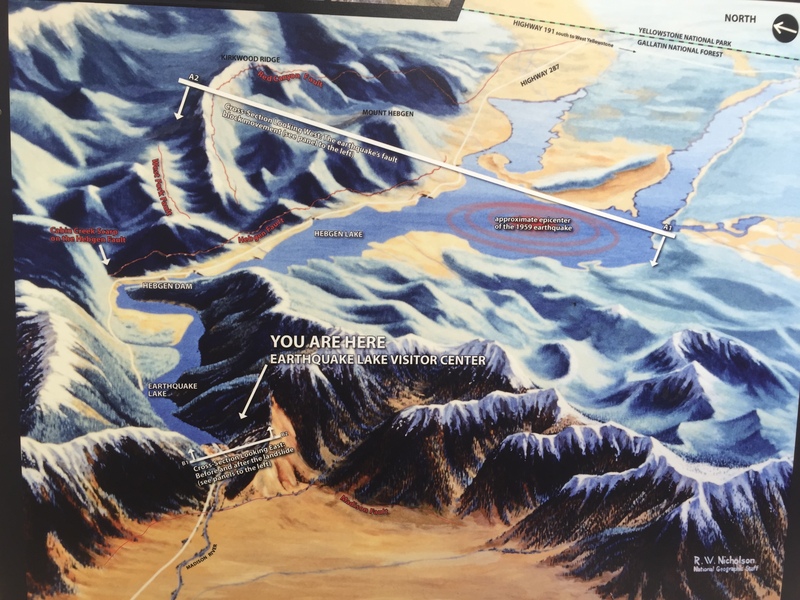 The center provides a panoramic view of the mountain that fell and the lake that was formed. 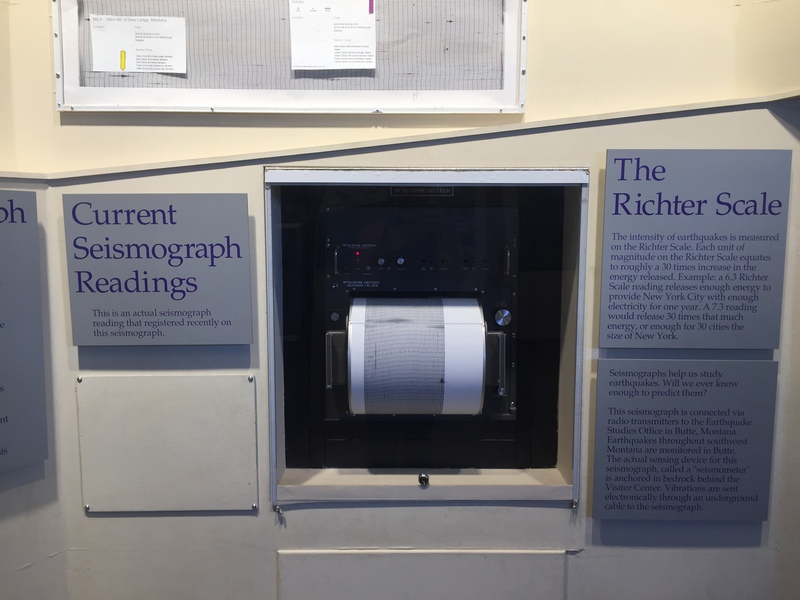 This facility hosts interpretive displays on earthquakes, plate tectonics, and a working seismograph. 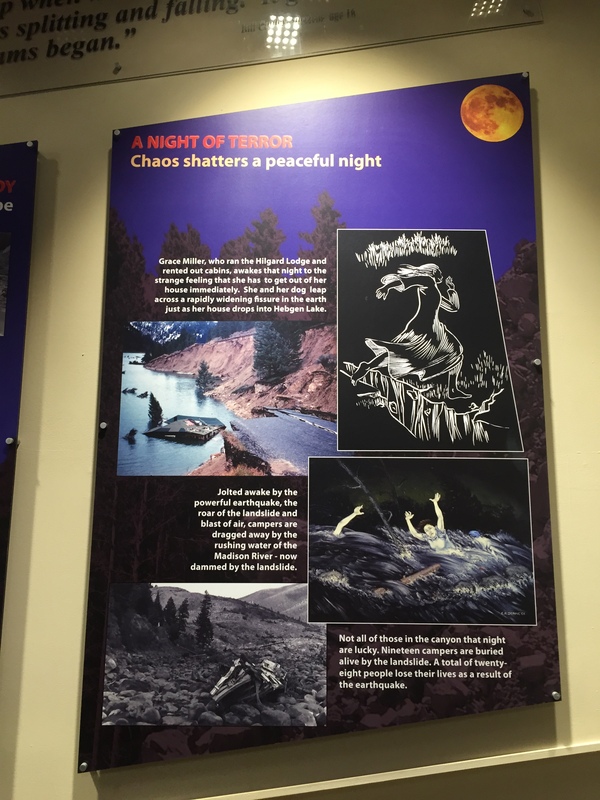 In the observatory, scheduled movies and talks, explain the story of the 1959 Hebgen Lake Earthquake. 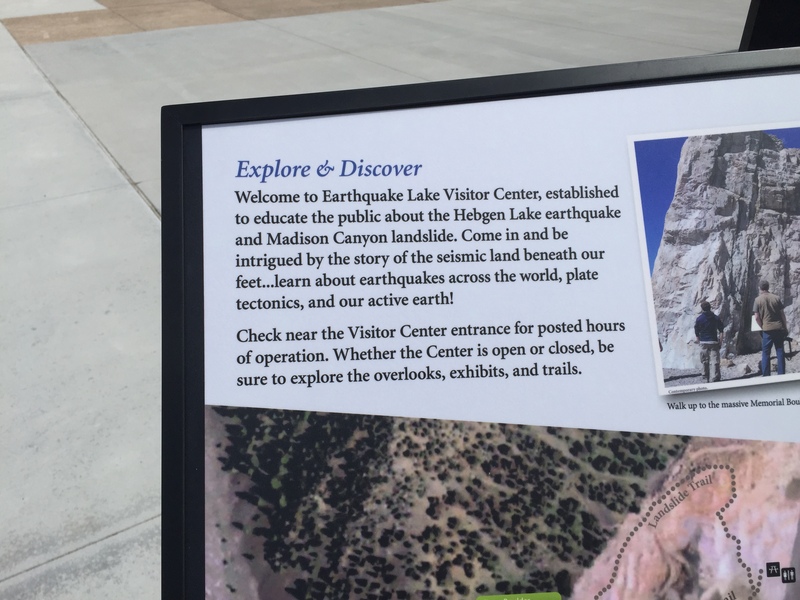 There are outside interpretive signs and a walking path to the Memorial Boulder. 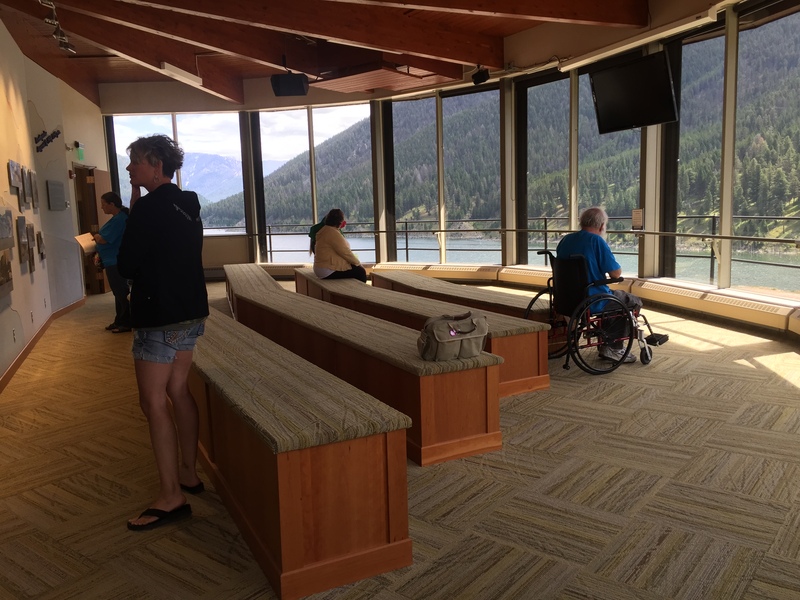 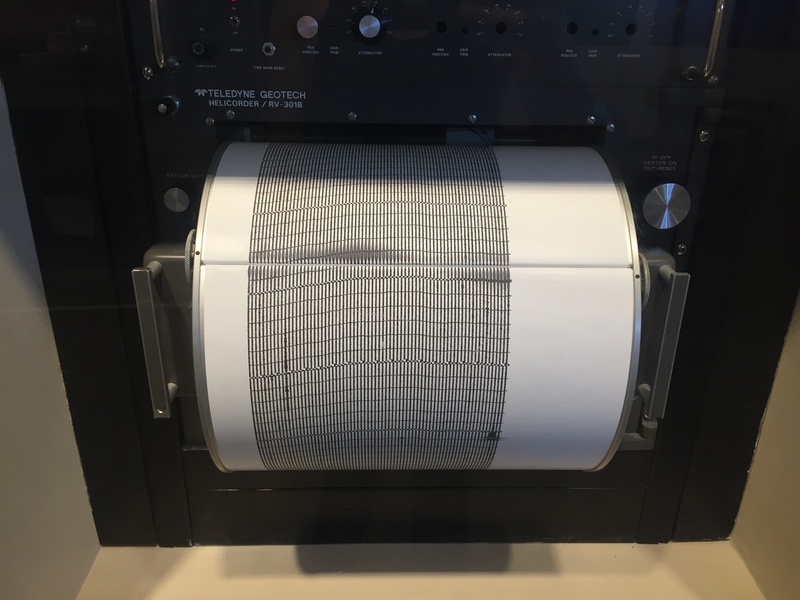 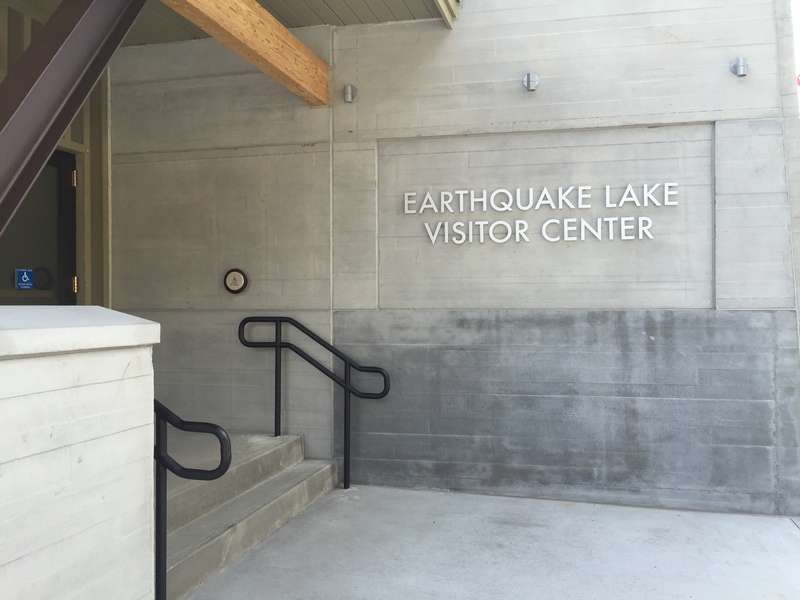 The Earthquake Lake Visitor Center is open May 22 through September 13, 2015. 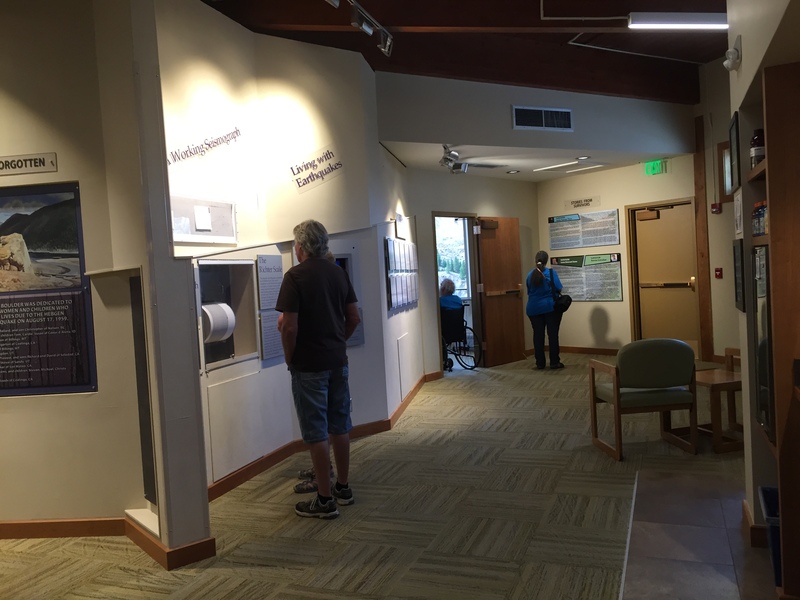 Hours of operation 10 a.m. to 6 p.m. Open daily. 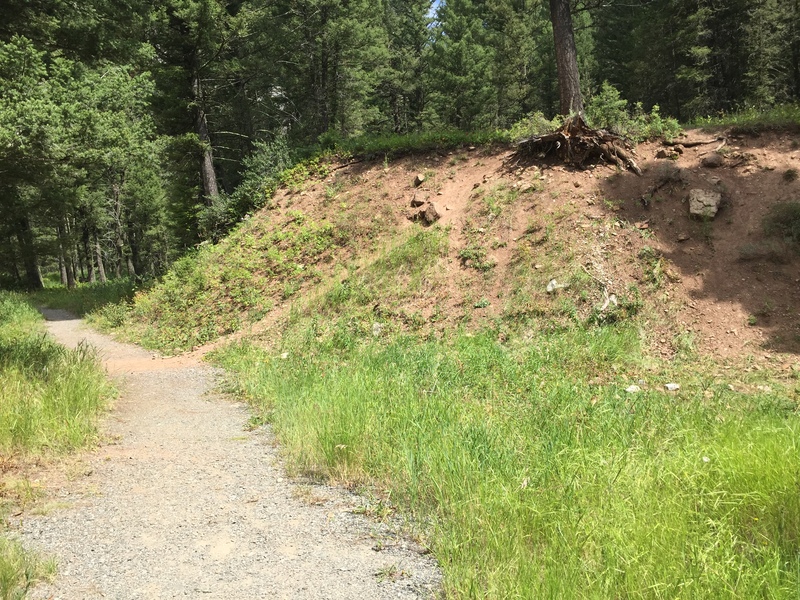 The land was raised up to 21 feet in some areas. 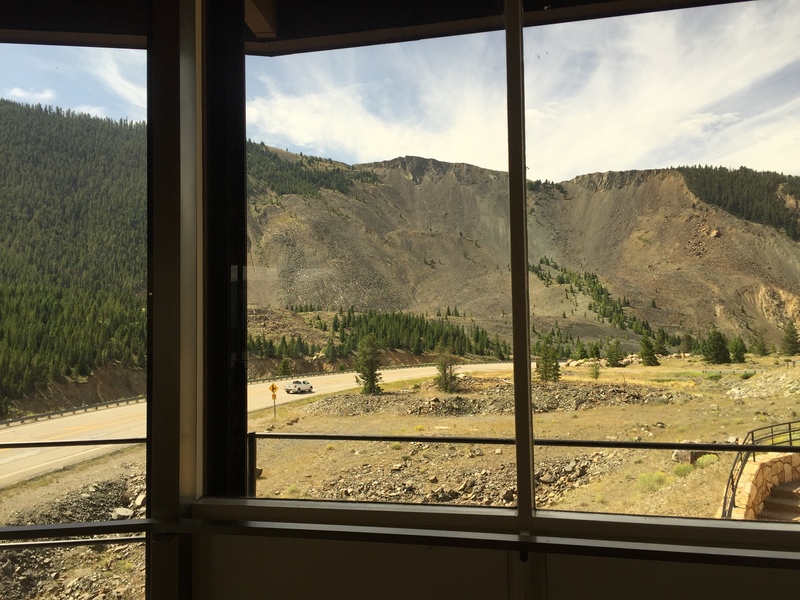 Here is some scarping of the terrain caused by the uplift. 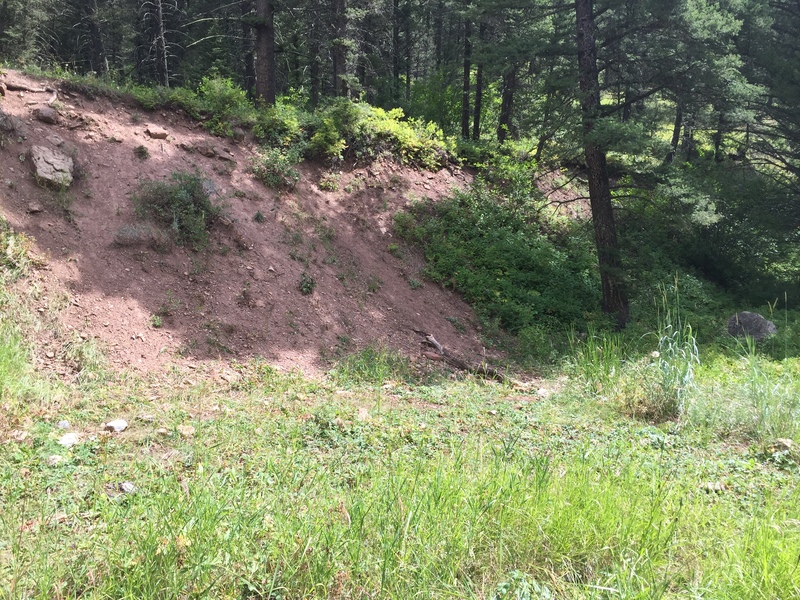 Here is more scarping of the terrain caused by the uplift. 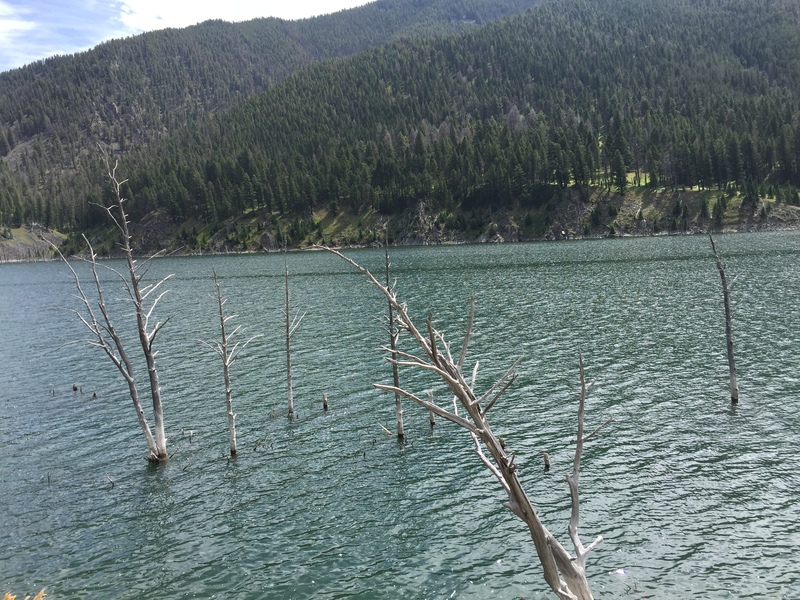 Ghostly dead trees still stand held to the soil flooded after the earthquake in 1959, in the place appropriately called Earthquake Lake.